This is a reprinted edition. Cover and inside pages are nice and clean, essentially as new and unread. No map. 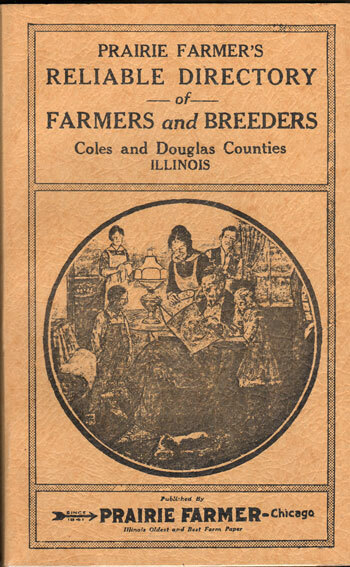 A directory of farmers that includes the name of wife including her maiden name, names of children, size and location of farm, year settled in Coles or Douglas County, Illinois. Soft cover, reprint edition, 234 pages. Also includes numerous business ads.